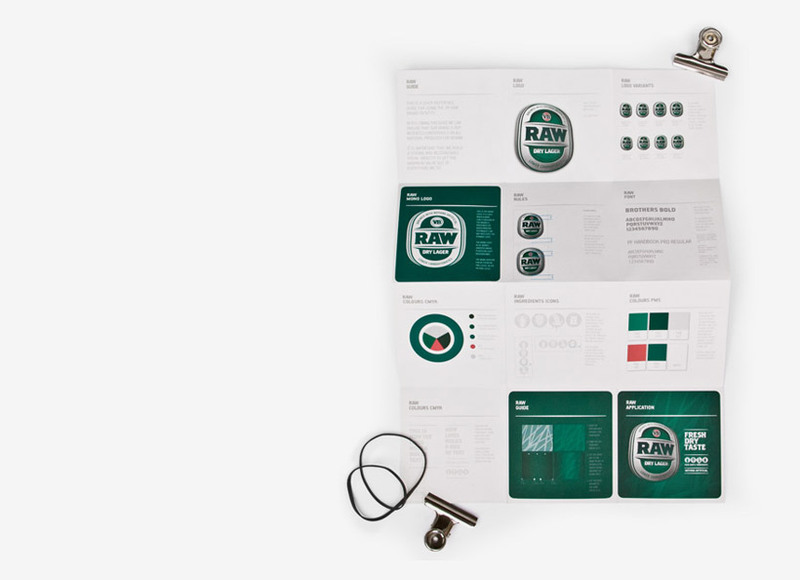 As part of the branding of VB Raw we were asked to create some kind of brand guidelines. 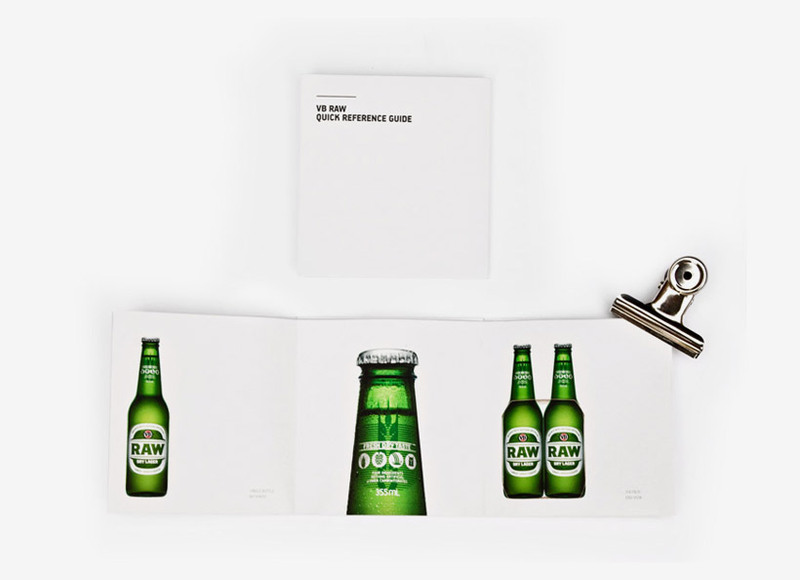 It was to hold all information needed to successfully maintain the core graphics and design of the brand. 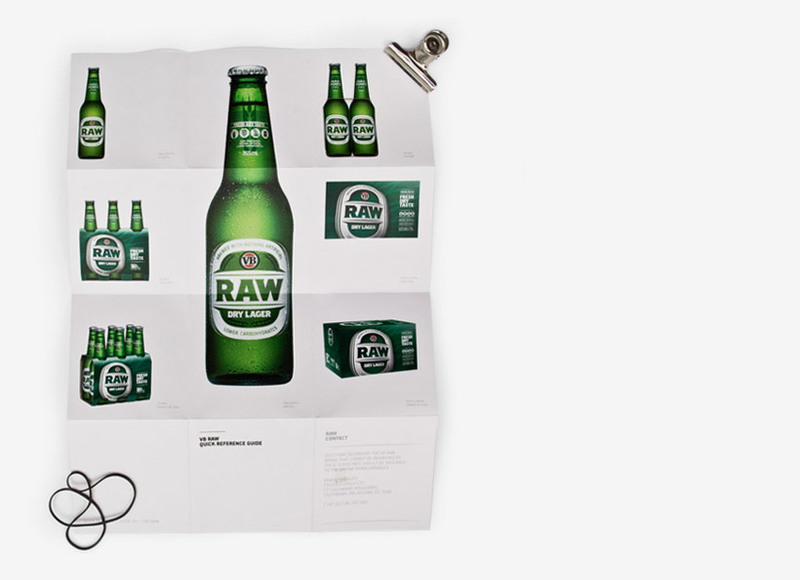 It also needed to hold information about the sub brand ‘Fresh From’ as well as have some kind of quick-reference-guide of some kind. 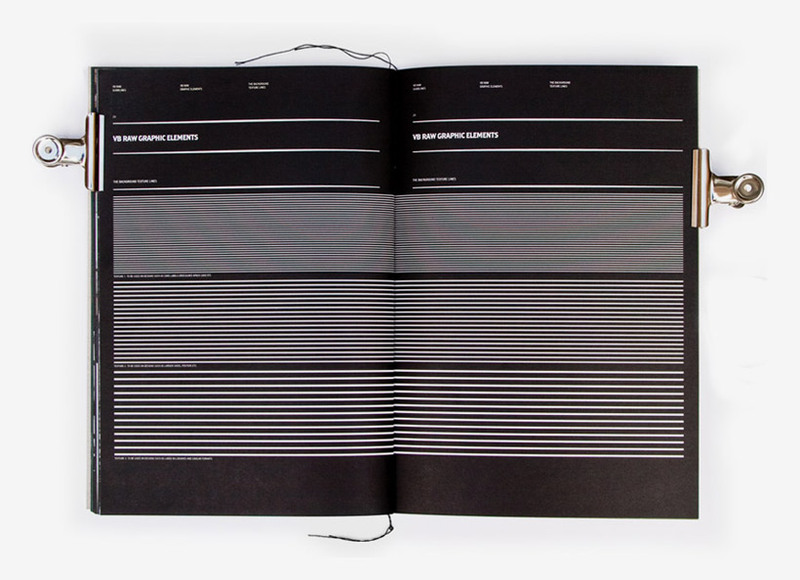 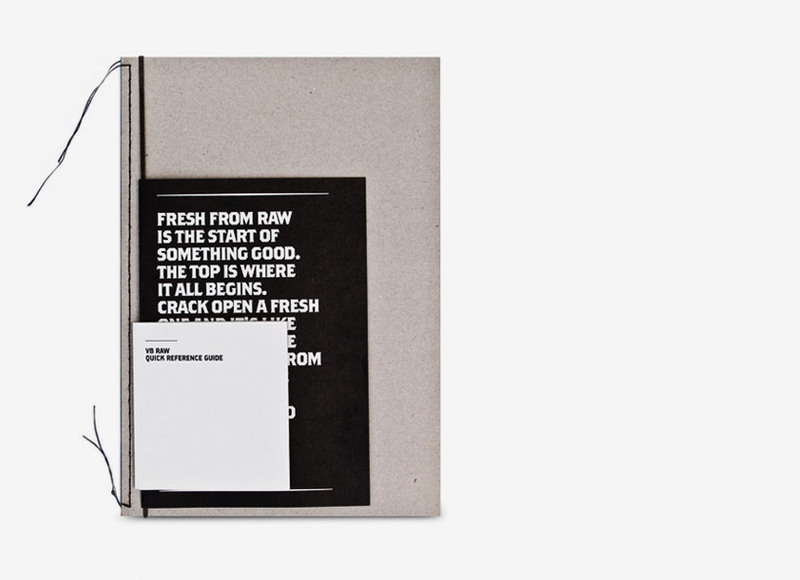 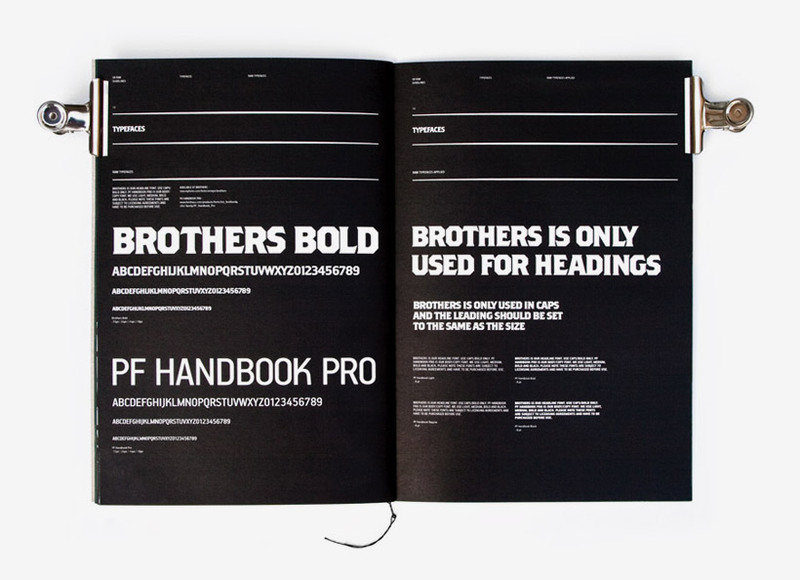 The VB Raw brand book was designed with an editorial feel to inspire its users beyond the function of a style-guide. 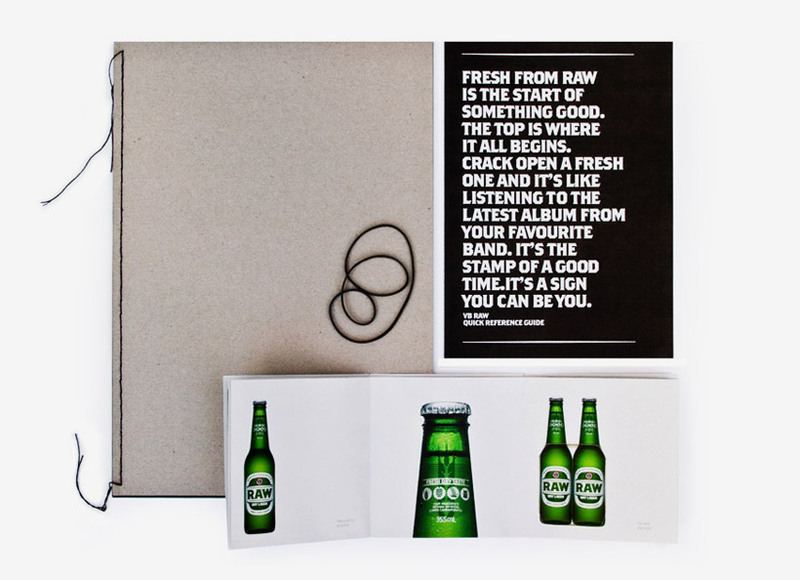 To do this we commissioned photographer and part owner of Monster Children gallery, itself at the heart of the target audience, Chris Searl to create imagery that reinforced the brand.